A series of monthly rsvp only events and a platform for like-minded individuals to connect and learn from each other. *If you are not on the RSVP list we will not be able to accommodate you. 21+ only. Smart casual attire recommended. In the era of innovation and new technology, join us at the next Bomond Rendezvous for a conversation with creators, leaders and industry movers who have achieved success in the world of digital marketing, branding and new ventures. A panel discussion will provide a deeper perspective on how to distinguish your brand identity, and common mistakes brands do when it comes to digital marketing. Mana is the founder and president of Chicago digital marketing agency, Lightspan Digital. The outspoken Romanian loves busting digital marketing myths, and teaching how to do social media marketing right. A sought-after speaker, she’s been sharing knowledge as Kellogg Executive Education faculty and at high-profile conferences around the country, such as Techweek, SES, MPI TechCon, Conversion Conference, Content Jam, Marketing Profs University, Pubcon and many more. Passionate about underwater conservation, Mana is a volunteer diver at the Shedd Aquarium. In 2014, Mana was awarded the “Chicago Woman Making History” Outstanding Entrepreneur Award by the City of Chicago Treasurer’s Office. A true data nerd, Mana serves on the Masters in Analytics Advisory Committee at the Illinois Institute of Technology. You can reach Mana on multiple social networks as @manamica or by email: mana@lightspandigital.com. 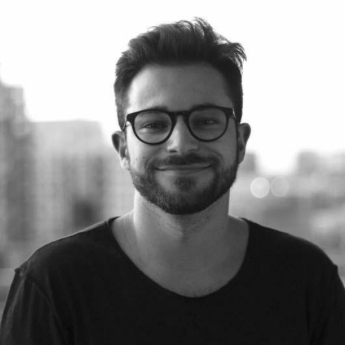 Vlad Moldavskiy is a Partner & Head of Digital at Mabbly and has extensive and broad industry experience in building digital brands for B2B consulting, SaaS, Manufacturing, CPG, Healthcare, Retail, Real Estate, and other key industries in society today. Vlad has been published as a Top 7 Millennial Marketer to watch in 2017 according to Forbes and is an active contributor for entrepreneurship and digital marketing in major national publications such as Forbes, INC, Huffington Post, and Venture Beat. In his spare time he is a public speaker and an active member of the Young Entrepreneur Council (YEC), consisting of some of the most influential entrepreneurs in the world under the age of 40. Parissa Behnia is the secret weapon that busy CEOs use to design strategy that wins customers and beats the competition. She founded Sixense Strategy to build on her previous career incarnations and enact her Sixense Empathy Model™ to serve CEOs and senior leaders alike. Parissa is also a partner at 678 Partners, a firm offering strategic services to Family Offices. 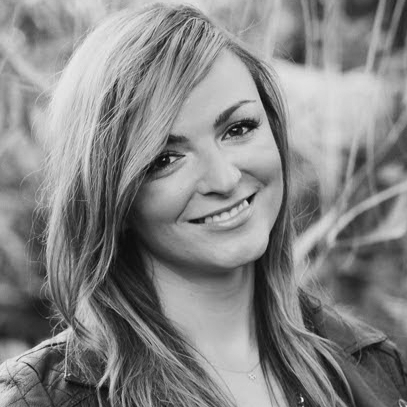 Prior to that she served as Vice President, Account Director at Wunderman DC, a relationship marketing agency. She’s recognized in the Chicago entrepreneurial community as an advisor and angel investor, with a particular heart for fellow female founders but a love of creative minds above all else. Parissa co-taught an experiential entrepreneurship seminar for ACM, a collaborative association of Midwest small liberal arts colleges. Parissa is a frequent speaker on topics such as strategy, leadership and entrepreneurship and is co-founder of ProductCamp Chicago. She’s also an active mentor and volunteer in cultural, civic, women’s, education and business organizations and has served in numerous service leadership and non-profit board positions. Dexter is a partner on the FKS Wealth Management Group, which works exclusively with successful families, business owners, young professionals and their advisors. He has been a member of the team since 2015, following a brief career in professional golf. Dexter holds a bachelor's degree from Illinois Wesleyan University in Bloomington, Illinois and is currently attaining his MBA in finance from DePaul University's Kellstadt School of Business.